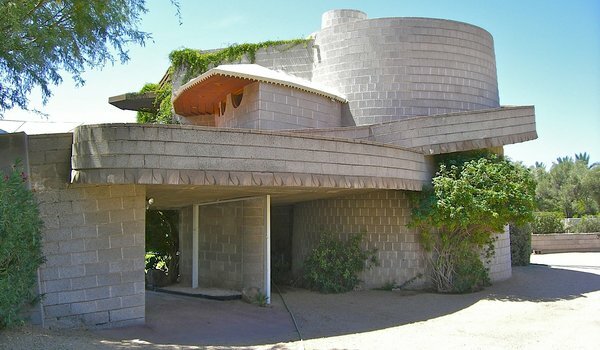 An interesting story about the complexities of preservation in AZ. The line that stood out for me is "the demolition company the developer had hired, concerned about razing a Wright house, called to check that the permit was valid." Time magazine picked up this story this week. i don't have much empathy for these owners. i have a tough time believing that they had no idea it was a FLW and don't know who he was. Especially with it being located in Phoenix - a bastion of Wright. You don't think that somewhere along the line of a million dollar plus property deal some realtor said - this is a FLW. Plus they dropped over a million on the property... usually most people know a little about something they pay over a million dollars for. I think they thought they could pull a fast one and then now are saying, "but officer I didn't know I was speeding..."
Can't seem to get to either of these latest links. Donations to this preservation organization are always welcome.